Waste Management is making it easier for their residential customers to be able to order and manage their new or existing Waste Management services. 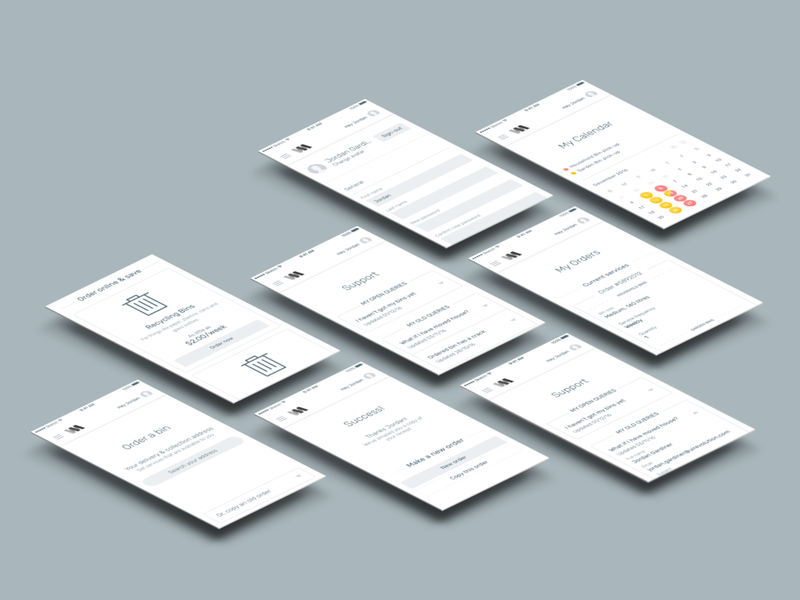 We wanted to help Waste Management improve their ordering system and move them into the digital age. The main goal was to make it easier for their residential customers to order from Waste Management. This website was integrated with Salesforce Communities and back-end development was handled by CloudinIT. Through the design process we outlined a process where users can easily search, browse, save, and redeem offers at local businesses. Payments were handled through Payment Express, which was set-up to accept credit card payments with bank transfers and direct debit to be integrated in a later release. 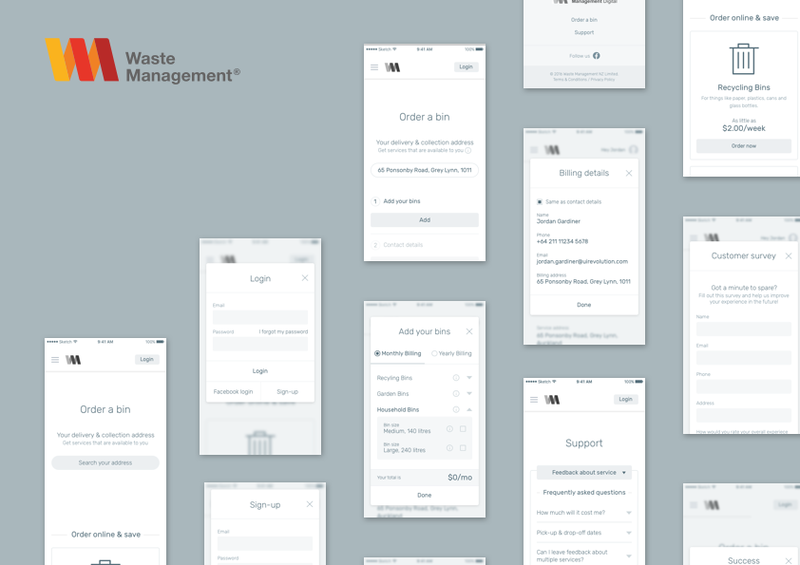 UiRevolution designed a set of wireframes for Waste Management’s new responsive ‘order a bin’ website. 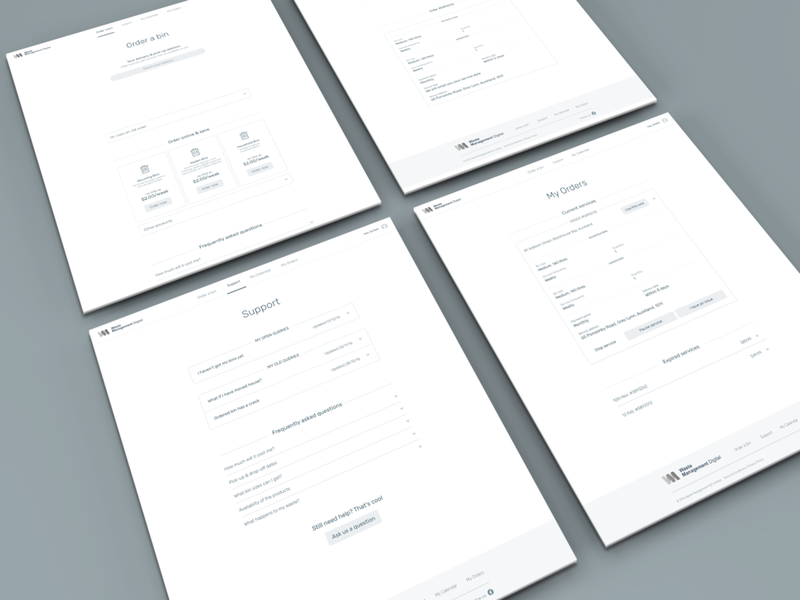 The wireframes focus on creating a straightforward ordering process for their residential customers as well as a contact system to speak directly to Waste Management staff. The visual design for the project was to be done using Waste Management's branding guidelines during the development phase. UiRevolution passed the project onto the Saturday company to do this.